Home / Cleat Maintenance / Breaking the Rules! 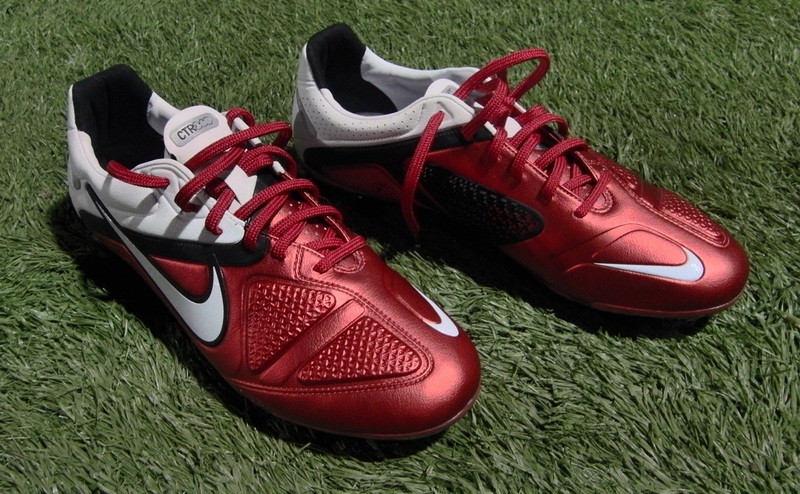 Since I am in the process of testing out the new Nike CTR360 Maestri II, I decided to take out the original CTR360s for comparison. What I found on my balcony broke my own rules on how to take care of your boots. After playing in the rain two weeks ago, I left them outside to dry off – but I failed to clean them. The result is a pair of very baked pair of boots. Moral of the story; to ensure you get the best life out of your boots wipe them down before you leave them out to dry, or in other words the opposite to above! 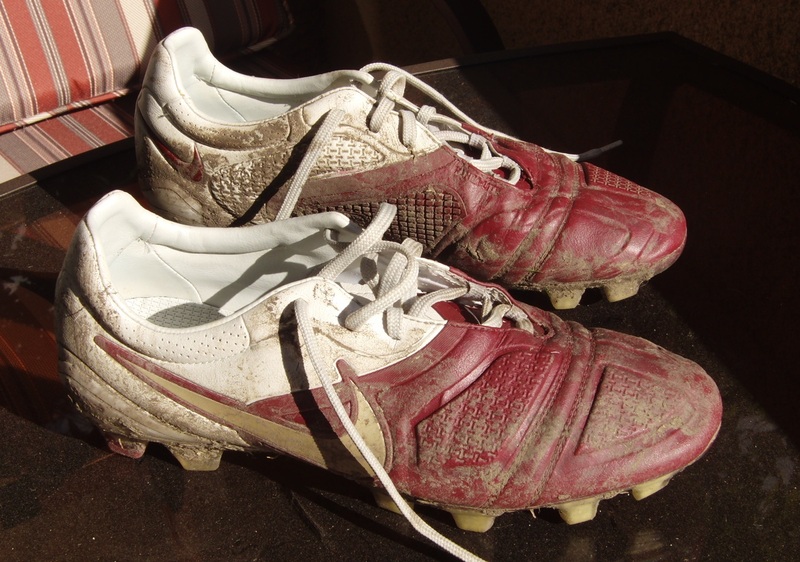 I have cleaned them in the time since and finally got them out on the pitch for comparison this morning. In terms of the new CTR360 Maestri II, they are working out really well, a great boot that has thus far been super easy to break-in. Below is a teaser picture, stay tuned for a full review in the next week. *drool* i want those boots!! btw, when is the next giveaway???? Hey do you ever walk on concrete with your boots? Well I can't believe it. I have started to take care of my boots like a pet since Bryan gave me some advice and he shows us that Picture. Hahahaha. Any way i think that them original CTR360 is still better but i will probably end up buying the new ones and adiZero II when they come out in june. What a tease!!!!! …but judging by the care of the original CTR's I would venture to guess the 2's are better!